To 3rd annual WARP Summit~! People who has bigger idea will be invited transcending biased, narrow and selfish thoughts taking on behalf of their own country's benefit. The 3rd annual Commemoration of the World Alliance of Religions' Peace, WARP Summit will be held in Seoul, South Korea to seek global cooperation for global peace-building. Heavenly Culture, world Peace, Restoration of Light, HWPL, a peace NGO under the UN Department of Public Information, DPI hosts this event on September 17-19th in association with International Peace Youth Group, IPYG and International Women's Peace Group, IWPG. This annual peace summit since 2014 brings together political and religious leaders, heads of women's and youth groups, civil society, and the press form around the world and provides an platform for discussion and cooperation for peace. 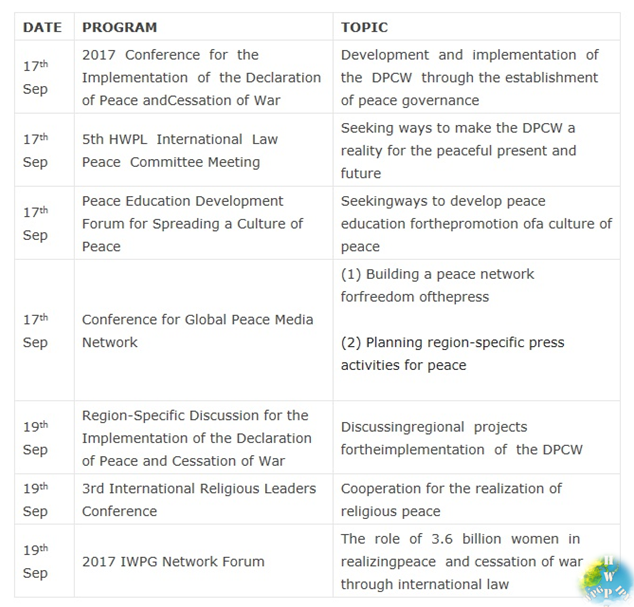 This year, more than 1,000 global figures form 120 countries are expected to participate in to discuss establishing collaborative governance between governments and civil societies for implementation of the Declaration of Peace and Cessation of War, DPCW, development of education as a culture of peace, and promotion of interfaith harmony. Former presidents, ministers, UN officials, justices, heads of civic groups, leaders of women, youth, and religions, and journalists will have in-depth discussions in groups on the topics: the direction of peace education for sustainable peace, the role of media in spreading a culture of peace and ways to build a global media network, and the way to foster peaceful harmony amongst religions. The Chairman of HWPL, Man Hee Lee, emphasizes the significance of the peace education by saying, "In order for everyone to become a messenger of peace, spreading a culture of peace and peace education by the development of peace materials and training of Peace leaders are important." Region-specific meetings are also planned for the implementation of peace projects in collaboration between governments and civil society groups. Each representative form each sector discusses ways to develop action plans for peace-building that can best reflect the cultural and social environment in the region. The Chairwoman of IWPG, highlights the power of women for achieving peace saying "3.6 billion of women, half of the world's population, have the power to lead humanity to the world of peace. 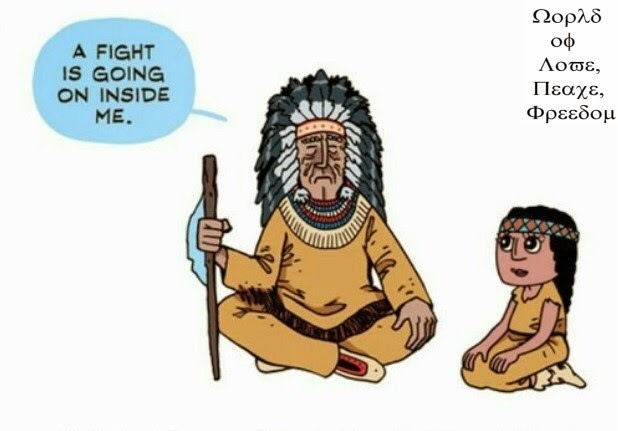 If we cannot use our potential, we can never achieve a peaceful world." The world women leaders are expected to make tone voice to transform the DPCW into a legally binding form for the cessation of war in '2017 IWPG Network Forum'. Along with sessions, a peace festival with 100,000 participants and local citizens will also be held on the second day of the summit. With the slogan ;Together for Peace as Messengers of Peace', cultural performances by 8,000 youth will be shown to convey the ore messages of peace as a culture in the global community. 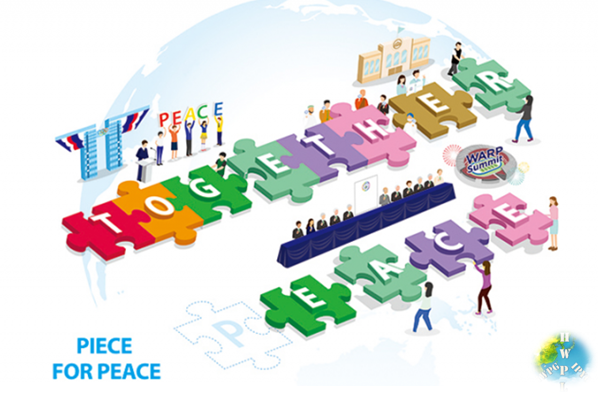 ※ HWPL, and its two wings, IWPG, IPYG are the two wings to protect world peace.